Best of Provence Tour Includes: Your Provence tour includes private transportation, English speaking tour guide, taxes, tolls and parking. Not Included: Entrance fees to sights you decide to visit. Departure point: Avignon, Arles; Aix-en-Provence and Marseilles. Other departure points available. Inquire. Your Provence private tour will take you to Orange, Pont du Gard, Chateauneuf du Pape, St. Remy, Les Baux and Arles. This Provence private tour encompasses the best of Provence, including ancient Roman architecture, vineyards and historic villages. You will begin your private tour of Provence with a tour of Orange, a historic town originally founded by the Romans in the 1st B.C. You will see its Arc de Triomphe and magnificent ancient Roman Theater. varieties, the vinification and the aging cellars; wine tasting session included. of the Gard River, tributary of the Rhône. will charm you with its elegant squares, restored homes and ancient fountains. This private tour of Provence will conclude with the 2,000-year-old city of Arles walking tour. Here you will visit sights (Langlois Bridge, Café la Nuit, Sanatorium) made famous by Van Gogh. The artist painted some 300 pieces during the 15 months he lived in Arles, making his stay here the artist’s most productive period. 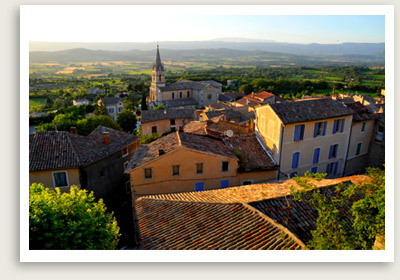 LIKE THIS PROVENCE TOUR, ALL OUR PRIVATE TOURS CAN BE CUSTOMIZED TO MEET YOUR UNIQUE GOALS.